Your vacation checklist is long: Pack, hire a pet-sitter, finalizing bills, and more. 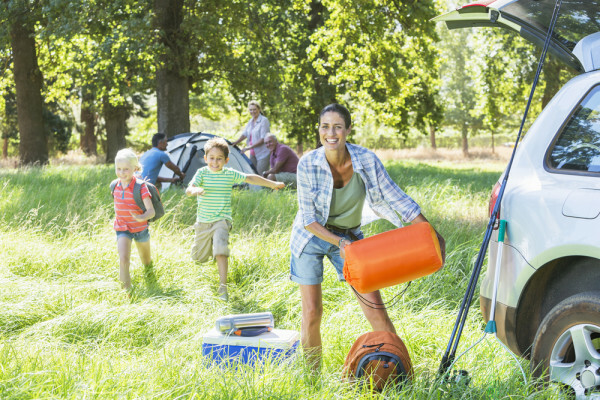 While getting ready to leave River Oaks, Texas, for a fun spring or summer vacation, don’t forget to prepare your home in an environmentally friendly way by turning off and unplugging appliances and setting the thermostat. You probably know to turn off the lights before you leave for vacation. But think about your DVR, your microwave, and your alarm clock. They’re still plugged in and on, which means they’re using power. Leaving appliances or devices plugged in can use up small amounts of electricity. Don’t just turn off your appliances, unplug them before you go. It’s actually not energy-efficient to turn off the AC completely when you leave the house. While you’re away, the house will become so hot that you’ll use lots of energy trying to cool it down once you get back. A hot, humid house can also present the ideal conditions for mold growth. Plus, it’s uncomfortable to come home to a humid house in a boiling Texas summer. Try setting the thermostat at 82 degrees while you’re away. A programmable thermostat is a great way to prepare your house for vacation but a smart thermostat is even better. Smart thermostats keep tabs on your HVAC system, manipulating how they run to save energy while keeping your house at your desired temperature. Connect your smart thermostat to your smartphone to access to your home’s interior from anywhere. If you’re going on vacation, change the thermostat from afar if the Texas weather changes suddenly. If you’re about to go on vacation and your AC is acting up, don’t worry. Conditioned Air’s technicians will fix any problems the system might develop in the Texas heat. If you have an old or manual thermostat, ask about installing a programmable or smart model so you don’t have to worry about it next time you’re gone. Call us today at 281-201-0356 for more information or to schedule an appointment.